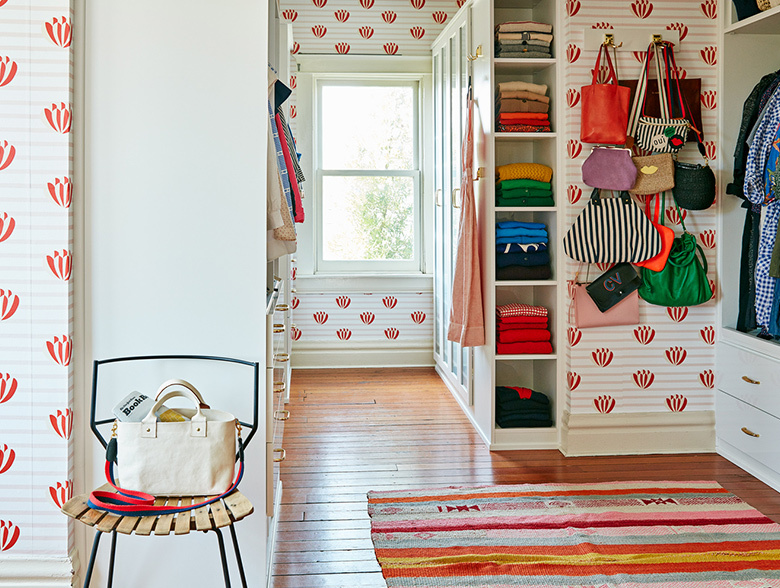 Everything about fashion designer Clare Vivier is très chic! 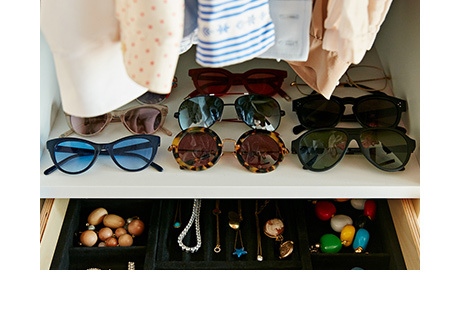 The epitome of effortlessly-cool French style, Clare had curated quite a collection of new and vintage clothing, shoes, handbags, and jewelry. 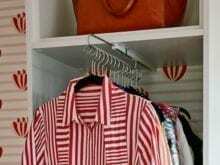 Yet, while her wardrobe was undeniably enviable, her current cramped closet situation was not. 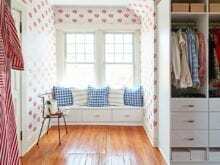 When she agreed to let her husband turn her existing small dressing room into a bathroom, she negotiated (very cleverly) to turn their spare bedroom into the spacious master closet she always wanted. 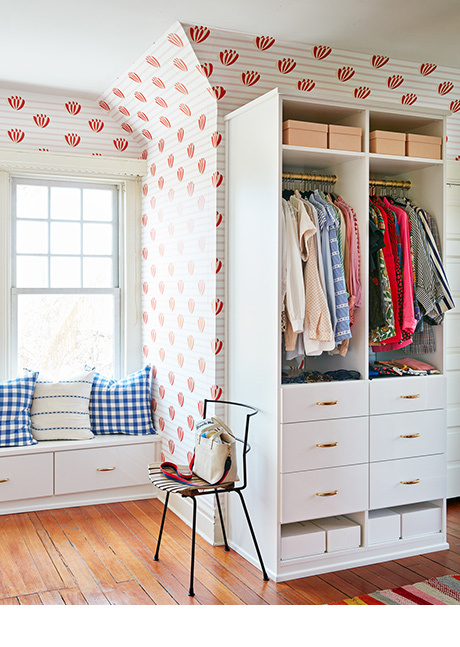 Having a whole room gave Clare the desired storage space, but she still needed help optimizing the square footage and creating a sophisticated storage solution that would properly organize—and beautifully showcase—her many belongings. 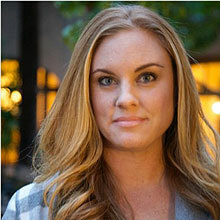 Fortunately, this was the perfect project for California Closets Los Angeles design consultant, Nicole Caswell. My friend and I had just been talking about the fact it needed a makeover. It needed to grow up a bit. So it was perfect timing when California Closets came my way. To keep the charm of the room’s classic molding, and to display the existing graphic wallpaper (designed by Clare herself! 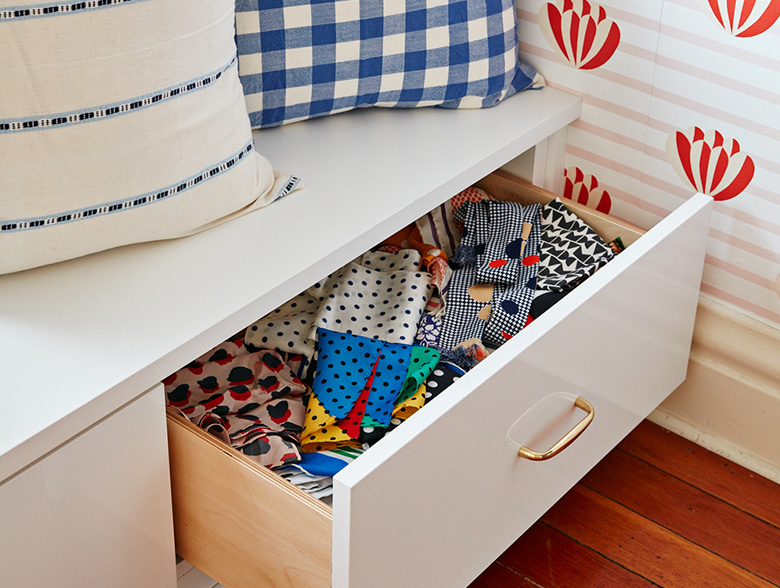 ), Nicole and Clare decided to keep all the hanging space at the same height, with drawers underneath for storage. By adding a simple bench seat for additional storage, Nicole also creatively worked around two large windows that invited soothing natural light and looked out over the neighboring treetops. 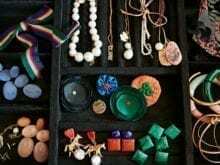 In addition to a full-length mirror and statement shoe shelving behind frosted glass doors, Nicole’s design includes plenty of hanging and display areas for Clare’s bold accessories and handbags, as well as space for books and artwork collected from her travels. 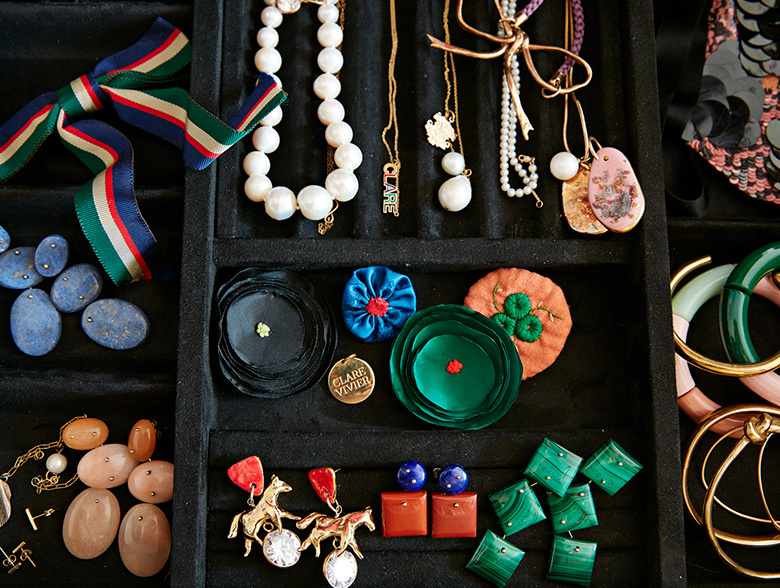 Drawers detailed with velvet jewelry liners keep even her smallest treasures organized. I wanted to create a closet sanctuary for Clare where she could relax and get inspired. 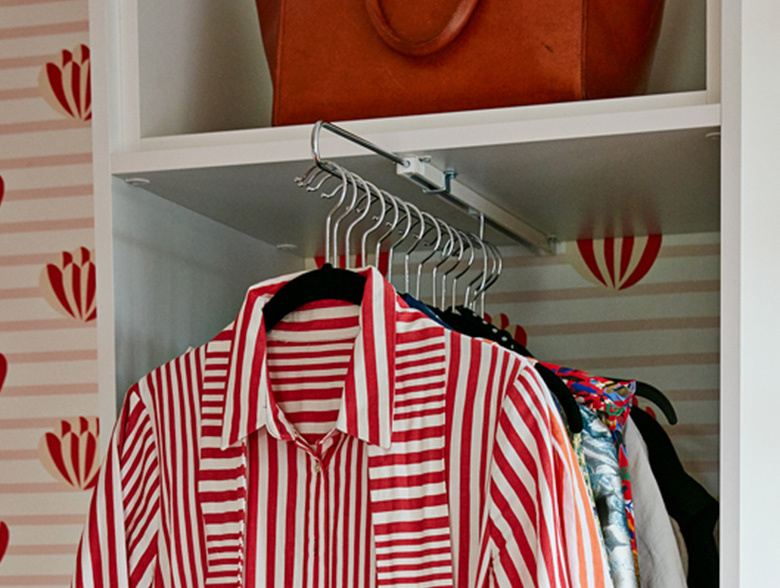 Streamlined and smart with accents of brass hardware, Clare’s spare-room-turned-closet complements her lifestyle and the many things she loves.